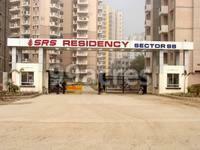 SRS Residency in Sector 88 Faridabad, Faridabad by SRS Group Builders is a residential project. The size of the Apartment ranges in between 1304.0 sq.ft. and 1850.0 sq.ft. SRS Residency price ranges from 30.00 Lacs to 52.28 Lacs. SRS Residency offers facilities such as Gymnasium and Lift. Bank loan approved from HDFC home loans, State Bank of India, Corporation Bank, Allahabad Bank, Dena Bank, Syndicate Bank, Union Bank of India, Deutsche Bank, LIC Housing Finance Ltd. and Dewan Housing Finance Corporation Limited (DHFL). It is a ready to move project with possession offered in Jan, 2015. The project is spread over a total area of 17.34 acres of land. SRS Residency has a total of 13 towers. The construction is of 13 floors. An accommodation of 1132 units has been provided. SRS Residency brochure is also available for easy reference. Be residential or commercial, the real estate market in Delhi-NCR witnesses an upward movement. With improving connectivity through the expansion of the Delhi Metro and opening up of several expressways, the real estate has the bend towards growth and positivity. The increase in the number of jobs and better infrastructure are the major pullers of the market in the city. Real estate in Delhi/NCR is one of the largest urban agglomeration that has a blend of commercial and residential real estate. What is the project location?The project is located at Sector 88, Faridabad. What apartment sizes are available in SRS Residency? The project offers apartments sized between 1304.0 sqft and 1850.0 sqft. What is total area of 2 bhk in SRS Residency? The area of 2BHK units in the project is 1304.0 sqft. 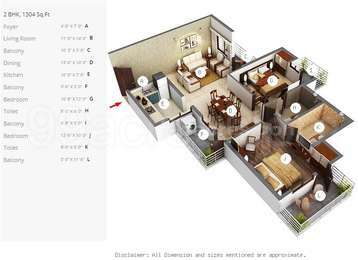 What is the area of 3 bhk in SRS Residency? Three-room units (3BHK) in the project are available in an area of 1557.0 sqft to 1850.0 sqft. What is total size of SRS Residency?The project is built over an area of 17.34 Acres. What is price of 2 bhk in SRS Residency? 2 BHK apartments in the project are available at a price of Rs. 3000000 to Rs. 4900000.
hat were on the upswing and in sync with the emerging needs of the masses. This was the new beginning of the group, and paved way for SRS Entertainment Retail Ltd., the flagship company of SRS Group. With the launch of SRS Multiplex in 2004 at City Centre, Faridabad, the whole outlook of the group changed. It became the beacon for change, growth and expansion and started chartering the group?s foray into new geographies and businesses. Hi Sunil, you should post the property listings on online property portals like 99acres if you have properties available for sale/rent. I am interested in buying property in the SRS Residency. My office is located in Sarita Vihar. I want to know the connectivity in & around the society to reach Sarita Vihar. How far is the metro station located from the SRS Residency?